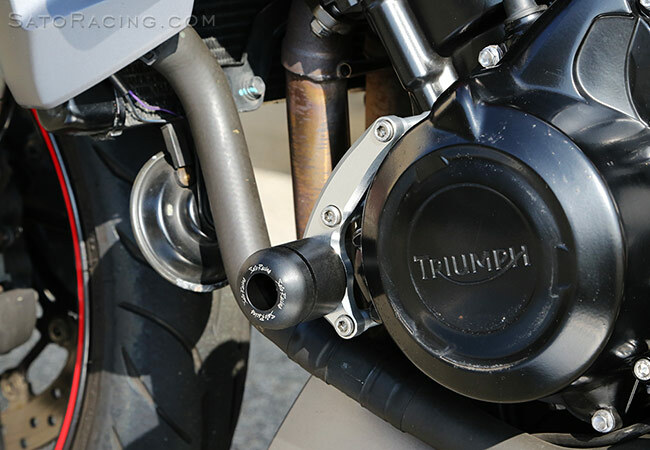 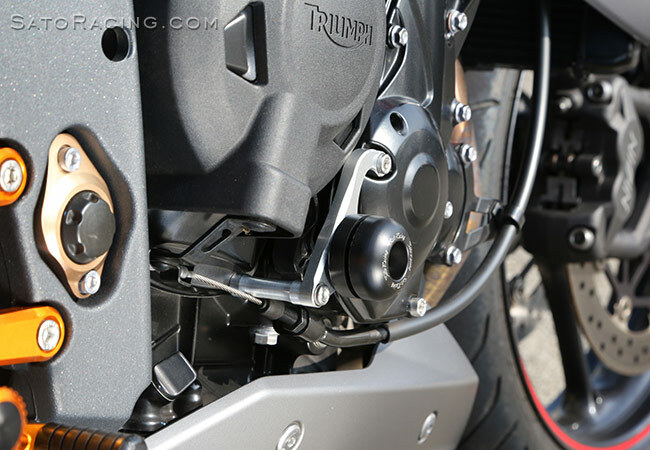 SATO RACING Engine Sliders for 2013-16 models of Triumph 675 Street Triple feature rugged slider pucks made of tough, abrasion-resistant DELRIN plastic, for effective protection of the engine case, lower fairing and other exposed parts if you lay it down at speed on the track. 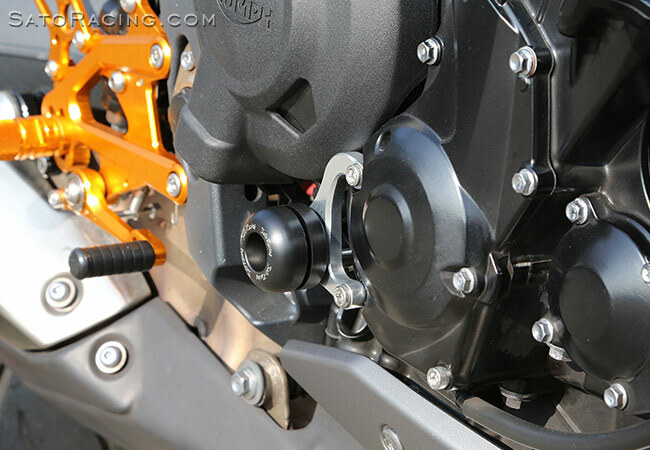 Mounted to the engine case with high strength anodized billet aluminum brackets and stainless steel bolts. 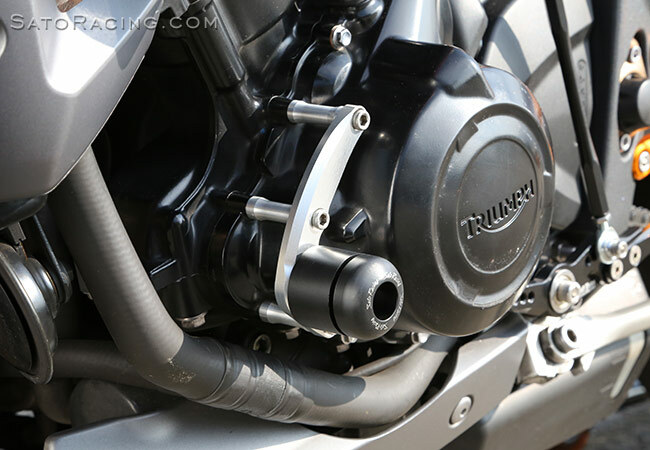 [L]-side and [R]-side Engine Slider, sold separately. 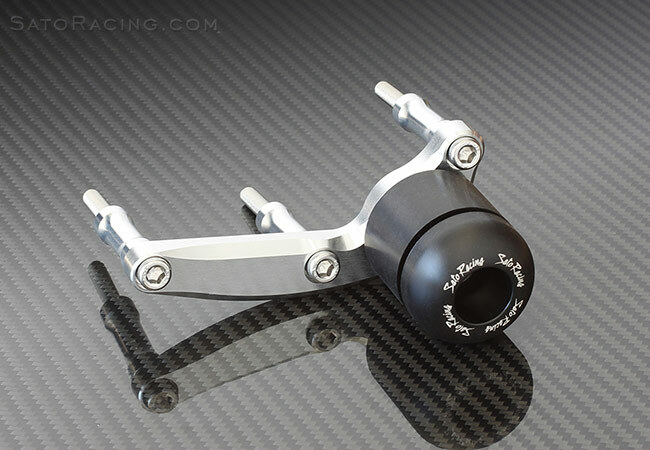 SATO RACING offers a full selection of Replacement Parts for our Frame and Engine Sliders. 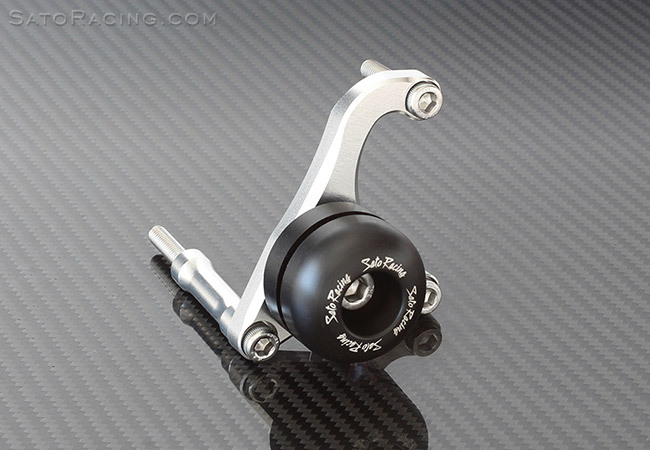 illustrated parts list included with your Sato Engine Sliders.